Originally posted on April, 13, 2016. 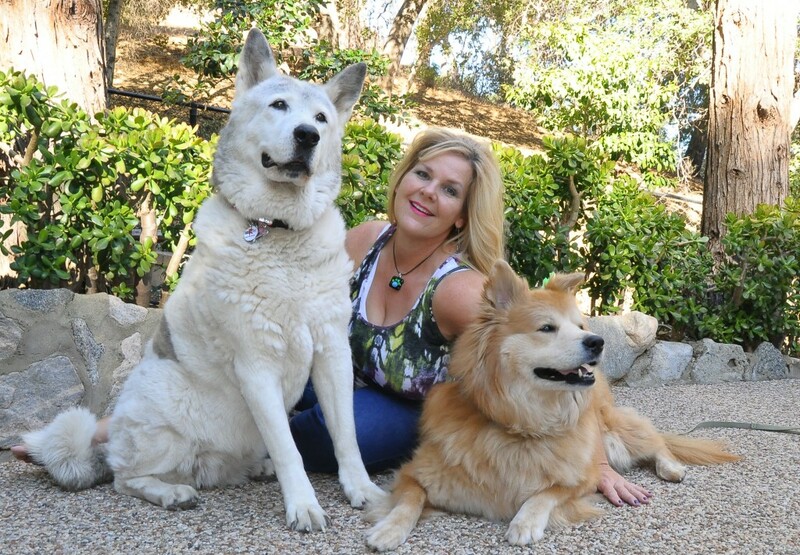 This guest interview of Denise Fleck, Pet Safety Crusader™, is part of a series of interviews of the panelists appearing at the upcoming Cat Writer’s Association (CWA) Conference at Blogpaws ( June 23-25, 2016 in Chandler, AZ). Denise has been helping people help their pets using life-saving tips, techniques and tools in case of emergency, disaster and first aid for several years. She plans on launching a Pet Safety Tour across the Southern United States. Learn how to help your pet in emergency situations from Denise at the CWA 2016 Conference and on her site. What made you decide to make your passion for helping people help their pets a full-time career? When my yellow Labrador “Sunny” (namesake of my company Sunny-dog Ink) was about 8 years old, one morning she couldn’t get up off the floor without excruciating pain. Unknown to us at the time, she had ruptured 3 discs in her spine — a genetic defect that after years of rubbing, reared its ugly head. Our home was 110 steps up hill from the car, so carrying a conscious 90 lbs. dog would be a daunting task. Long-story short we got her the help she needed, and after surgery, the Sunny-dog (as we affectionately called her) bounced back to her fun-loving self (even learning to open our refrigerator until we found an impenetrable child-proof lock to keep her safe from herself), but I never again wanted to be caught unaware when my furry child needed me. I took classes, started volunteering, practiced, trained some more, talked to experts and developed a series of courses that I have now personally taught to more than 10,000 pet lovers! You will be presenting at the Cat Writer’s Panel in June. What is your presentation all about? I am honored to be part of the Fear Free℠ panel with Dr. Marty Becker and Dr. Elizabeth Colleran. What I do every day is try to help pet parents become part of a team with their veterinarian whom I consider your pet’s 2nd best friend — you of course are their first! At the Cat Writers/Blog Paws Conference, I will discuss how to rescue Rover or help Fluffy feel better BEFORE you can get to veterinary care as most of us aren’t lucky enough to have a vet velcroed to our hip 24/7, and what we do at the time the injury or illness occurs can limit further injury or reduce the pain our best friend is experiencing. Ninety percent of dogs and cats will encounter an emergency at some point in their lifetime and by doing first aid, 25 percent more can be saved. If we know how to lower body temperature, minimize blood loss, alleviate choking, induce vomiting or even just recognize signs of distress, our pets can live longer, happier, healthier lives by our side. And by practicing some techniques on your pet before they are needed, not only will you become more confident, but your pet will understand and tolerate what needs to be done. What are some tips you hope cat writers and bloggers will take away from your presentation? To REALLY get to know your pet by performing a weekly head-to-tail check-up. The more you know what is normal for your cat or dog, the more quickly you can determine when something is “not quite right,” and get it diagnosed by a competent medical professional. Veterinarians are the experts, but we are with our pets daily, so we need to notice subtle changes at onset. Additionally, by touching and examining our pets, they get better acclimated to the human touch which makes them better patients at the vet’s office. I also encourage cat moms and dads to take their cats, in securely restrained carriers, for the occasional car ride, so that every time a cat travels, it isn’t for a vaccination or worse! Actually even go to the vet, sit in the waiting room tossing a treat or two in the carrier. Let your cat take in the sights and smells, then go home. Fear of the unknown is something that gets us all. Introducing kitty to situations that aren’t all bad can help in most cases. Who can attend your session? Any eager pet lover who is registered for the 2016 Cat Writers/Blog Paws Conference in Phoenix, AZ. I’ll be anxious to meet them all! What are three tips you can give us to help prevent or prepare for a cat emergency? A calm YOU along with a towel and muzzle. Cats pick up on our energy, so take a deep breath but ahead of time…learn basic cat first aid! Restraining kitty in a towel can help you hold on without getting badly scratched, while a muzzle can help the situation from becoming a human first aid emergency. More than half of humans who get bitten by cats end up with infections requiring medical treatment. Of course I’m going to say your Cat’s First Aid Kit, but…Pumpkin puree or dehydrated pumpkin/apple fiber. Some cats are afflicted with mega colon in later years while many get clogged up from fur balls. Arthritic cats often find it painful to get in the “number two squat,” and back themselves up. A half teaspoon of pumpkin puree a day may alleviate constipation and move fur balls through the system. Most cats enjoy the fibery squash more than store bought cures or petroleum jelly products often recommended. Also a covered bathroom garbage can. I’ll bet this one surprises you, but many cats choke or worse on used dental floss! Sometimes even the floss will wrap around their tongue while the other end is ingested. When it reaches the intestines, they perform peristolic actions (muscle contractions) pulling the floss while the other end is still attached. Prevent a CATastrophe and keep floss and other string and ribbon-like items out of claws reach! Are there any major changes you have made to your techniques working with cats over the years? Since I was raised by a Great Dane (along with a meow-valous calico Siamese) and have shared my life with Labs, Shepherds and Akitas, I realize my movements can be too big for my feline friends, so I mentally prepare to make my actions smaller before approaching a cat. When I can, a little tuna juice on my finger gives me a paws-up for the meet ‘n greet, but having taken hundreds of cats to our local TV station for appearances, I love using 1/2″ slip lead to give me confidence in not losing the cat. I turn it into a figure 8 harness by gently slipping one loop over the cat’s head and then loop the remainder around her chest before pushing the handle through the “d” ring at her neck. It isn’t heavy like a harness, one-size-fits all securely and my energy remains calm in that I know I have a safe grip on the cat! What is the most important advice you would give to someone in an urgent situation with his or her cat? Remain calm. Stay patient. Talk in your happy voice (but not screechy), and do your homework today so that you’ll be ready knowing where your nearest Animal ER is located, what services they offer and how they accept payment. You have just announced the first ever Pet Safety Tour. Can you tell us what it is about? I am so doggone excited about this. Over the years I have taught more than 10,000 animal lovers how to be better pet parents. This fall, in my new incarnation as the Pet Safety Crusader™, I plan to re-do that and then some in one concerted effort by providing educational opportunities to humans whom have previously not had the chance to learn how to be better pet parents. 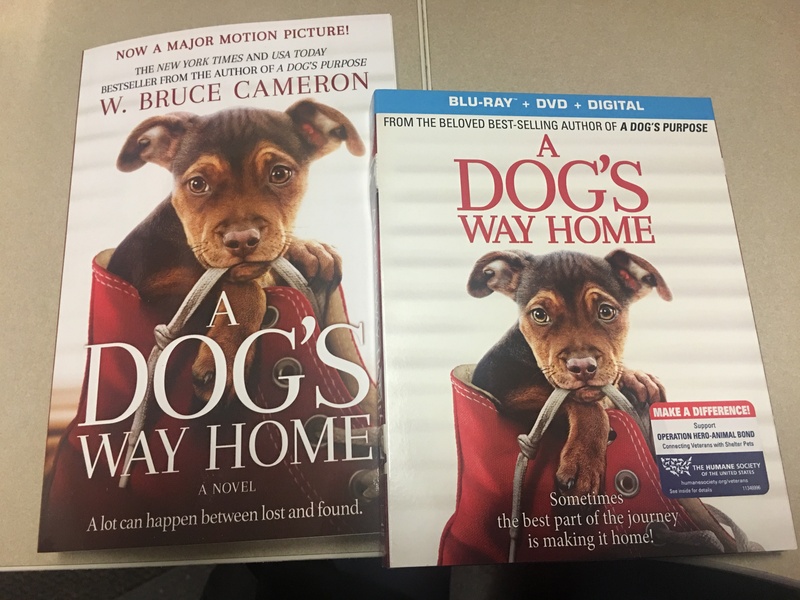 On a 10,000 mile 17 city tour of the Southern U.S., I will teach Pet First-Aid & CPR at animal shelters, Pet Disaster Preparedness at Fire Stations and community events, share my love of the underdog — the misjudged breeds, older and dark coated pets — by reading my award-winning “Don’t Judge a Book by its Cover” at schools and libraries hoping to impress upon kids 0-99 never to judge an animal, a person or anything based on the outside, but to get to know the treasure that lies underneath. All events will raise funds for local animal non-profits, and I’m getting the chance to share pet safety in 12 states while being lucky enough to travel with my 3 best friends…my husband Paul and our pack, Haiku & Bonsai, two rescued Japanese Akitas. How can a company or individual get involved in the tour? Super heroes are needed to champion the cause by becoming “wheels beneath my RV!” In exchange for your logo on the RV for the entire 10,000 mile journey, sponsors who can financially support the mission are needed to purchase the books, pet first aid kits and educational supplies, buy RV fill-ups and cover general operating expenses associated with this two-month long adventure. Each “whistle stop” event will raise funds for a local animal charity by holding the educational opportunity, and will also receive a tricked-out gift basket to be raffled off for additional funds. For these baskets, pet products are also needed. So come on board and let’s go off the rails on this adventure together, helping animals and the people who love them. ZOOEYIA (zoo-ey-ah) is the scientific proof that animals improve our health. All of us animal peeps have known this for decades but there is now substantial evidence that having an animal in your life can lower blood pressure, develop stronger immune systems and create empathy in humans who have bonded with animals. For all they do for us, I want to make a difference for them and the people who love them and encourage everyone to spend quality time EVERY SINGLE DAY with your canine or feline best friend. Don’t mindlessy pet kitty while reading a book — really tune into her, be in the moment like she is and notice her shiny fur, glowing eyes and melodic purr. For those kitties that share their lives with a dog, make sure you aren’t texting or on the phone when you’re out for a walk. Enjoy the journey as the destination arrives all too soon! Thanks so much for letting me share how I love to help people help those amazing furry friends in their lives!